Created by Olszewski for the Goebel Miniatures as a Special Release sold by retailers. This figure is extremely quite detailed and its weight is significant. 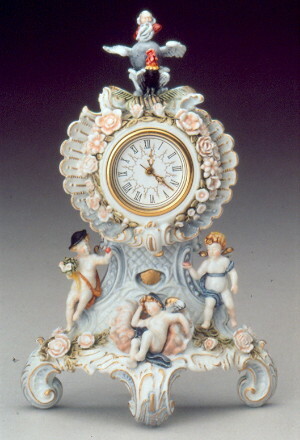 The batter operated clock adds another dimension to this timeless piece.